The aim of the project is to validate a new family of first-in-class drug candidates for the treatment of vascular accumulation of cholesterol associated with atherosclerosis. Iproteos will design and produce these new compounds. The IIBB-CSIC LipidCardio group will evaluate its effectiveness in atherosclerosis and the CRG/UPF Proteomics Unit will further explore the mechanism of action of the new drug candidates. Cardiovascular disease is the leading cause of death worldwide, and uncontrolled accumulation of cholesterol in the vascular wall and myocardium is closely related. The World Health Organization (WHO) estimates that in 2012, 17.5 million people died due to this cause, which represents 31% of all recorded deaths in the world. A public-private consortium led by the biotech Iproteos - based at the Parc Científic de Barcelona (PCB)– with the participation of the Biomedical Research Institute of Barcelona (IIBB) of the Higher Council of Scientific Research (CSIC) and the Centre for Genomic Regulation (CRG), has launched a project to validate a new family of compounds for the treatment of vascular accumulation of cholesterol associated with atherosclerosis. The project has just received an endowment for 700,000 Euros from the Ministry of Economy, Industry and Competitiveness, through the 2016 Retos-Colaboración [Challenges-Collaboration] call under the scope of the ‘State Program for R & D & i Addressing the Challenges of Society’ (Exp. RTC-2016-5078-1). The accumulation of lipids in the vascular wall and in the myocardium, has a great clinical impact because it causes serious cardiovascular alterations in pathologies such as atherosclerosis, which is very prevalent in our society. Specific treatments, which are currently nonexistent, are needed urgently to counteract the mechanisms that prompt this condition. The final objective of the project is the validation of a new family of peptidomimetic compounds (derived from peptides with optimized properties) that are candidates for drugs for the treatment of vascular accumulation of cholesterol associated with atherosclerosis. Hand in hand with the efficacy trials, pharmacokinetic and pharmacodynamic bioavailability studies will also be carried out, which will provide vital information for the project to reach clinical phases. The experimental findings of the Lipids and Cardiovascular Pathology group (LipidCardio) at IIBB-CSIC, associated to the IIB-SantPau research center, showed that one of the key mechanisms in the accumulation of cholesterol in vascular and myocardial tissue is the regulation of the LRP1 receptor. Subsequently, through the application of IPROTech, Iproteos´s propretor technology, this biotech and the LipidCardio group developed a new family of LRP1 receptor modulating-peptidomimetics with great potential for the treatment of cardiovascular diseases. 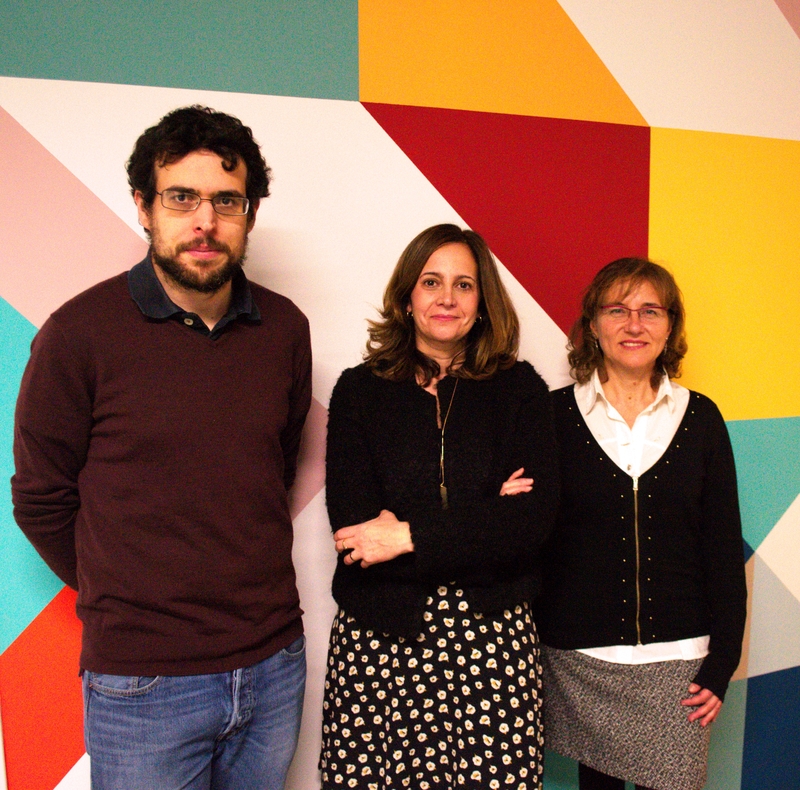 Now, within the framework of this project, Iproteos will design and synthesize the new peptidomimetic compounds while the LipidCardio group of IIBB-CSIC and IIB-SantPau will be in charge of the evaluation of its therapeutic efficacy in atherosclerosis; and the Proteomics Unit at CRG/UPF will further study the mechanism of action of these new drug candidates in vascular disorders by means of mass spectrometry techniques. "The field of cardiovascular disease is of great relevance, given its prevalence and the predictions that define it as one of the great pandemics affecting developed countries. It is a large market where there are no treatments to prevent the uncontrolled accumulation of cholesterol in the vascular wall and myocardium. To meet this need, with our IPROTech platform, we have been able to design and produce peptidomimetic drug candidates, capable of reaching the precise place where they have to carry out their action, thanks to their optimized properties of permeability and bioavailability", says Teresa Tarragó, CEO of Iproteos. "Our research group develops its highly translational activity in the clinical area of the Santa Creu i Sant Pau Hospital. Our main objective is the development of new clinical tools that improve the diagnosis and treatment of patients with cardiovascular disease. With this particular project, we intend to develop a new therapeutic strategy for the prevention and treatment of atherosclerosis. Unlike current therapies, which target blood cholesterol, the treatment we are developing targets the lipids that accumulate in the arteries, which is directly associated with cardiac events such as acute myocardial infarction", explains Dr. Vicenta Llorente-Cortés, director of the LipidCardio IIBB-CSIC and IIB-SantPau research group. "The objective of our unit is to provide services in the field of proteomics to internal and external users and to develop quantitative techniques based on mass spectrometry to make proteomics a robust, sensitive and precise method that allows, not only the generation of new research hypotheses, but also validation in complex biological systems. In this project, through mass spectrometry, we aim to determine what changes occur at molecular level within the cell by the action of this new family of drugs for the treatment of cardiovascular diseases, and in so doing, advance in the knowledge of its mechanism of action", further explains Dr. Eduard Sabidó, head of the CRG-UPF Proteomics Unit. Members of the consortium expect the results of this project to be the validation of a first-in-class drug candidate for the treatment of atherosclerosis, including a detailed study of its mechanism of action. This will subsequently enable the implementation of regulatory preclinical trials and, and will later on lead to the first administration of the candidate drug in humans. Cardiovascular disease is the leading cause of death worldwide, and uncontrolled accumulation of cholesterol in the vascular wall and myocardium is closely related. The World Health Organization (WHO) estimates that in 2012, 17.5 million people died from this condition, representing 31% of all deaths recorded worldwide. Iproteos, based at the Parc Científic de Barcelona, is a biotech created in 2011 by two leading Catalan scientists in the field of therapeutic peptides, Teresa Tarragó and Ernest Giralt, based on the transfer of a technology generated at IRB Barcelona and the University of Barcelona. The company focuses its activity on the discovery of new therapeutic strategies based on the modulation of protein-protein or protein-ligand interactions through permeable peptide derivatives. Specifically, its portfolio of projects focuses on the search for drugs for diseases that are currently without treatment. The group of Lipids and Vascular Pathology (LipidCardio) of IIBB-CSIC is directed by Dr. Vicenta Llorente Cortes. The group, which is associated to the Hospital of Santa Creu i Sant Pau (IIB-SantPau) research area, is mainly interested in the cellular and molecular mechanisms related to the accumulation of lipids in the vascular system and the myocardium and in the translation of the knowledge generated towards the development of new tools for the detection and treatment of cardiovascular disease. All research lines have a strong translational drive, from basic science to clinical needs. The Proteomics Unit at the Centre for Genomic Regulation (CRG) and Pompeu Fabra University UPF is a reference service for the analysis of the cell proteome using mass spectrometry and is supported by the European Regional Development Fund (ERDF). The Unit is part of the Centre for Genomic Regulation, an international institute of excellence in biomedical research - located in the area of the Biomedical Research Park of Barcelona (PRBB). Its mission is to discover and advance knowledge for the benefit of society, public health and economic prosperity. The CRG is a center distinguished by an international jury and awarded by the Severo Ochoa program of excellence.